iRobot doesn’t mess around. Roomba, their most notable robotic vacuum cleaner brand, captured the hearts of millions of users worldwide. And while many of these loyal consumers wait for the next Roomba, we will take a journey through past and visit the Roomba 690, one of the iRobot’s classics. In our Roomba 690 review, we will examine and discuss its main features and characteristics. We will also examine Roomba alternatives (890, 650 and 614) and explain how they differ from Roomba 690. Should You Purchase Robotic Vacuum Cleaner? Okay; we know the benefits of robo-vacuums. But why Roomba 690? 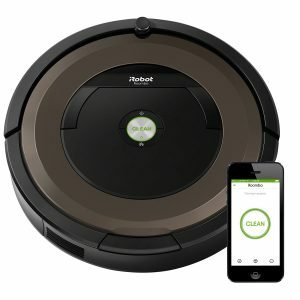 690 is iRobot’s classic, featuring sleek silver/black circular low-profile design. But 690 doesn’t just look elegant; it performs fantastically. 690 is compatible with iRobot’s HOME app (download the official app here), allowing you to control it via smartphone. It also features voice-activated control and is compatible with Alexa and Google Assistant. 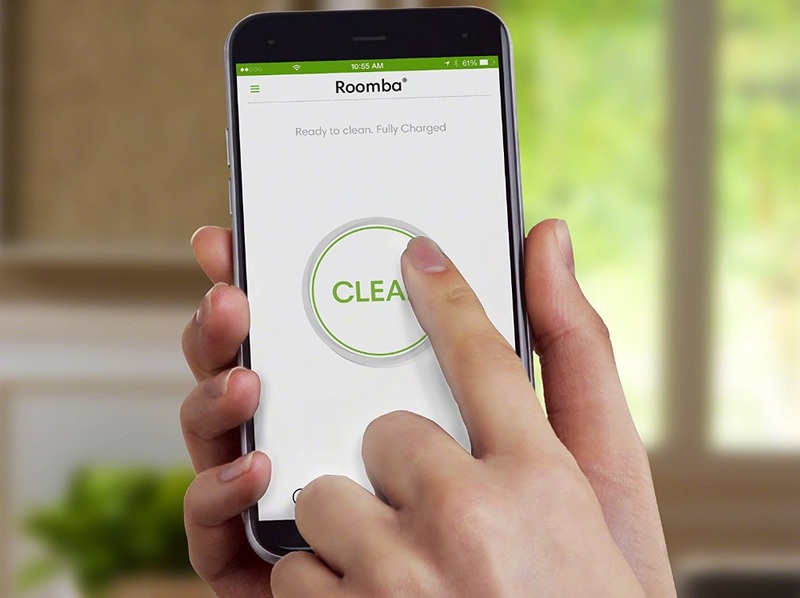 Roomba 690 features Roomba’s most prominent characteristics: it has 3-Stage Cleaning Technology, Virtual Wall, navigation, Multi-Surface brushes, and Dirt Detect Technology (see DDT in action). More importantly, you get all this at an affordable price. Deals well with pet hair. Performs badly in cluttered space. In this part, we would like to go through 690’s essential characteristics (design, cleaning performance, etc.) We would also like to discuss the vacuum’s most prominent features and what separates it from other robo-vacuums. 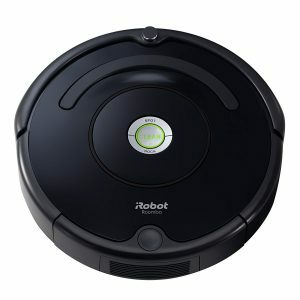 Roomba 690 is 13 x 13 x 3.6 inches big and weighs roughly 8 pounds. This low-profile 3.6-inch design allows 690 (and other Roombas) to go beneath objects. It is also lightweight and won’t damage the objects it bumps into. And 690 is expected to bump into objects, which is why it has a protective bumper ring around the edges. The ring is black, while the top of the vacuum features silver color. It also has a handle, which makes carrying/transporting simpler. 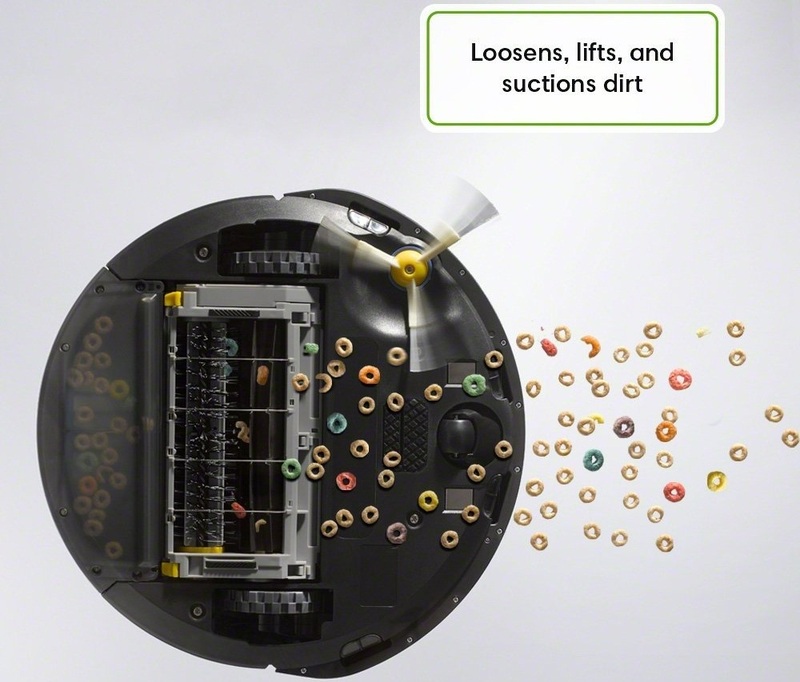 Roomba 690 also features dustbin release button, making maintenance much more straightforward. 1. Wheels – 690 features two wheels, one on each side, helping it navigate across the room, from one surface to another. 2. Dual Multi-Surface Brush – 690’s primary weapon, used for agitating and collecting debris, dirt, and dust. 3. 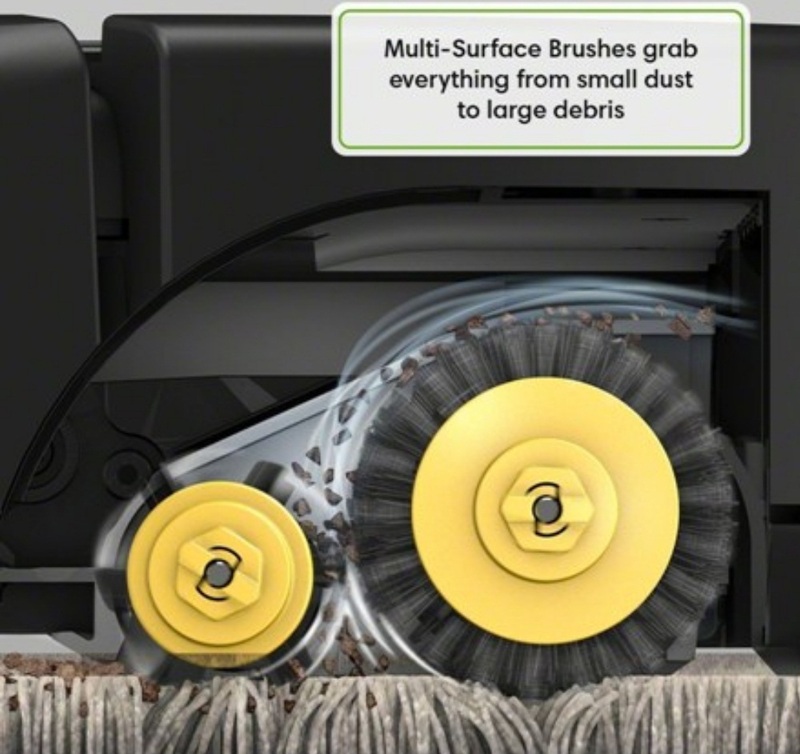 Side Brush – Side brush helps 690 collect debris near walls and in corners. 4. Charing pins – 690 automatically recharges by connecting the pins with the charging station. 5. Sensors – 690 depends on the integrated sensors to not only locate debris but to also navigate safely around the objects. 690 is engineered for performance. It uses Roomba’s classic 3-Stage Cleaning System in combination with Dual Multi-Surface brushes . Smaller brush agitates and chops up the debris, preparing it for the bigger brush. This Dual brush system helps 690 collect tiny and large debris, on both carpets and hard floors. It also features Auto-Adjust vacuuming head, which lowers/heightens the 690’s body, assuring that the Dual brushes are always close to the surface. Then there is the Dirt Detect technology which helps 690 spot dirt efficiently, beating the human eye. Dirt Detect technology also helps 690 locate high-traffic spots in your home, where it will apply more thorough cleaning. Like other Roombas, 690 features side brush, which helps with along-walls and corner cleaning. But all the things we mentioned thus far would be irrelevant without 690’s iAdapt Navigation system. According to iRobot, 690 makes more than 60 algorithmic decisions per second to make sure it goes via the most efficient route. Naturally, the navigation system isn’t perfect, but it gets the job done. Unfortunately, Roomba 690 doesn’t memorize the layout like more advanced Roombas do, but that doesn’t stop it from keeping your home clean. Roomba 690 comes with one virtual wall (you’ll receive batteries for it.) Why do you need this virtual wall? Well, you don’t need it (per se), but the wall is handy, allowing you to restrict 690’s movement. The best example is with open doors: instead of closing the doors, you can use Virtual Wall Barrier to block 690 from going through the doors (even though they are open). 690 also features Cliff sensors with which it detects stairs and other similar points. 690 can recognize whether or not it is safe to transition from the high ground to the low ground. For instance, it won’t fall off the stairs, but will still go from high carpet to hardwood or tiles. 690 works with iRobot HOME app. The app gives you more control over your vacuum: you can program it, create schedules, receive notifications, and so forth. Moreover, the app is continually receiving updates and gets better with time. There is also the Voice-Activated control, which works with Alexa and Google Assistant. For example, if you have Alexa, you say: “Alexa, tell Roomba to start cleaning.” Alexa will then transfer the message to the Roomba, and Roomba will immediately start cleaning. Cool ha? 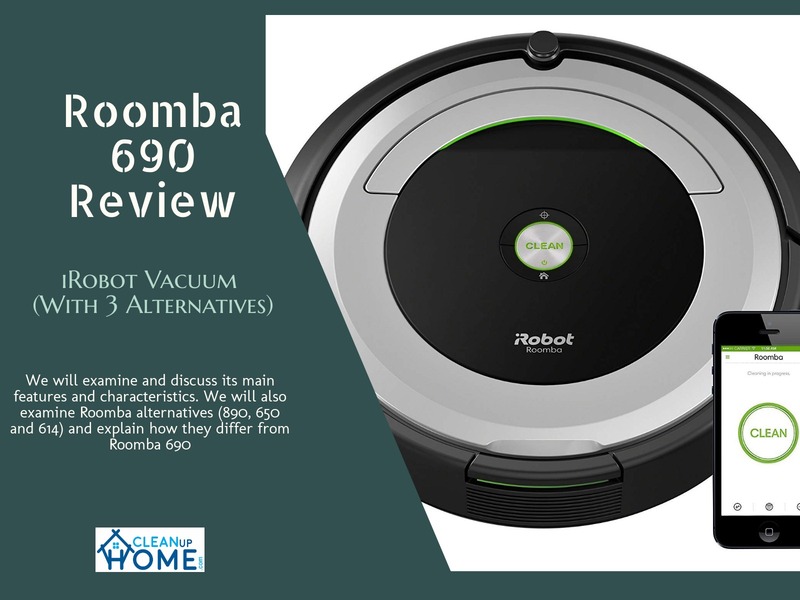 In this robot vacuum comparison, we want to examine the best alternatives to Roomba 690. Note that the section is written in 1v1 fashion, where we battle the 690 with other Roombas. 890 is an excellent choice for pet owners and works with the HOME app, Alexa, and Google Assistant. It runs for 60 minutes, just like 690. Those who are interested in Roomba 890 can click here to find more info about it. More vacuuming power (AeroForce system). Most would say that the 690 is just a slightly upgraded version of 650, which isn’t far from the truth. These vacuums deliver similar cleaning performance, use same brushes, have the same battery life, and cost roughly the same (650 is a bit less expensive.) The difference? Well, 650 isn’t compatible with iRobot HOME app. It came out before the app and wasn’t engineered to work with the application. It also doesn’t feature voice-activated control. Stil, 650 is by far the most popular Roomba vacuum, still worth every penny. Those interested in Roomba 650 can click here to find more data about it. Isn’t compatible with the HOME app. 614 is similar to 690: it has iAdapt Navigation, 3-Stage Cleaning System, Dual Multi-Surface brushes, 60-minute battery runtime, etc. What 614 doesn’t have is HOME app compatibility, as well as voice-activation technology. Furthermore, 614 doesn’t have Virtual Wall barrier. But when it comes to raw cleaning performance, no one wins. 614 is cheaper, perfect for people who aren’t that interested in HOME app compatibility, Virtual Walls, and Alexa/Google Assistant compatibility. 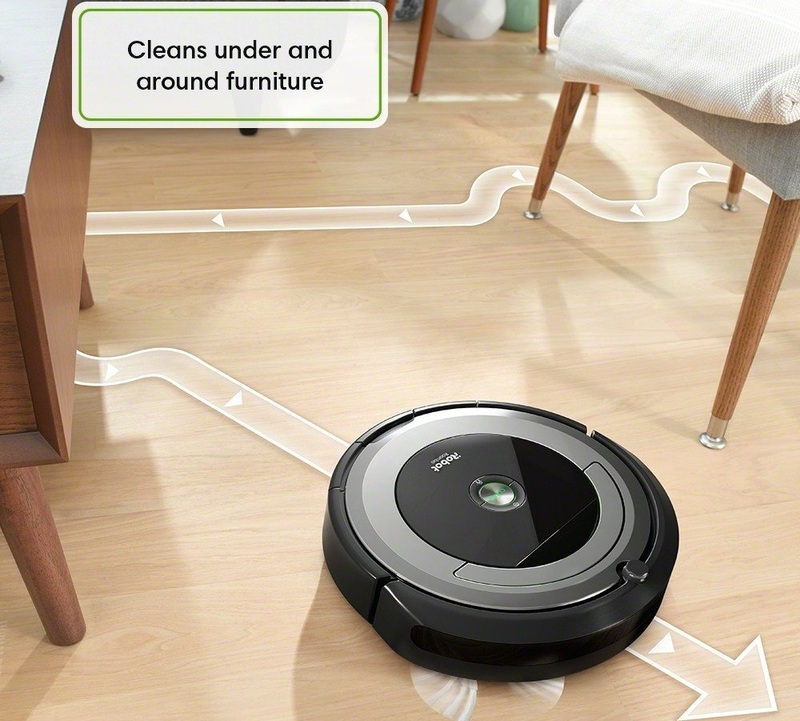 If you want to, you can click here to find more information about the Roomba 614. Incompatible with the HOME app. Robotic vacuum cleaners are cute, cool and convenient. But are they worth it? Robotic vacuum is a relatively novel and expensive technology, competing with traditional manual vacuum cleaners. Unlike the traditional vacuums, robotic-vacuums (let’s call them this way) are much more convenient. Most are simple to use: you program it via a dedicated app or integrated control panel and turn it on. The vacuum would then start cleaning, while you go about your business. Aside from convenience, robo-vacuums are also very efficient. They use less power than traditional ones while offering similar performance. Most robo-vacuums feature all-surface rollers and side brushes, which allow them to clean your home rapidly and efficiently. Advanced robo-vacuums specialized in specific areas. For instance, the Roomba pet series vacuums (Roomba 980 and Roomba 690) are ideal for pet owners. On the other hand. Roomba 890 is arguably the best robot vacuum for hardwood floors. Also, robo-vacuums are compact and easy to store. More importantly, they feature a low-profile design, which allows them to clean beneath the furniture. And let’s not forget that robo-vacuums help elderly and disabled people. Not only do robo-vacuums clean their homes, but they also save money because it is less expensive to buy a vacuum than hire a cleaning service. This iRobot Roomba 690 review showed us that older Roombas are still valuable options. Even the products we mentioned in our “Alternatives” section (650 and 614) are worth buying, especially if you want to save money on your purchase. 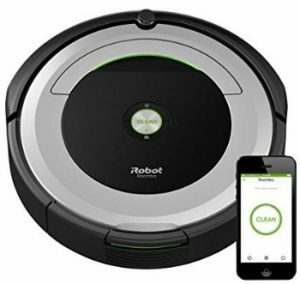 If you are interested in other cleaners, consider reading our other robot vacuum cleaner reviews; we are confident that you’ll quickly find the robo-vacuum that is best for you and your home.